A friend of mine came up with the great idea of making Bangin' Bacon Pancakes. 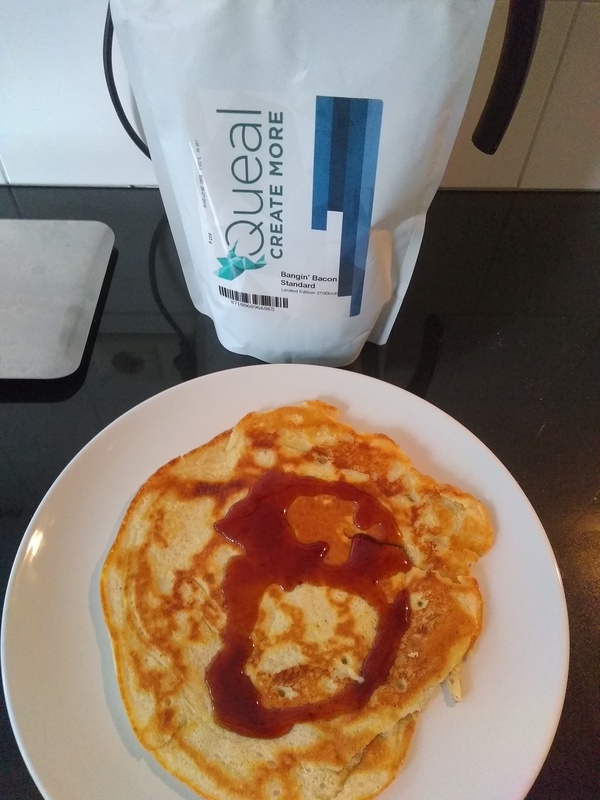 So this morning I took a moment to make my breakfast just that little more delicious. 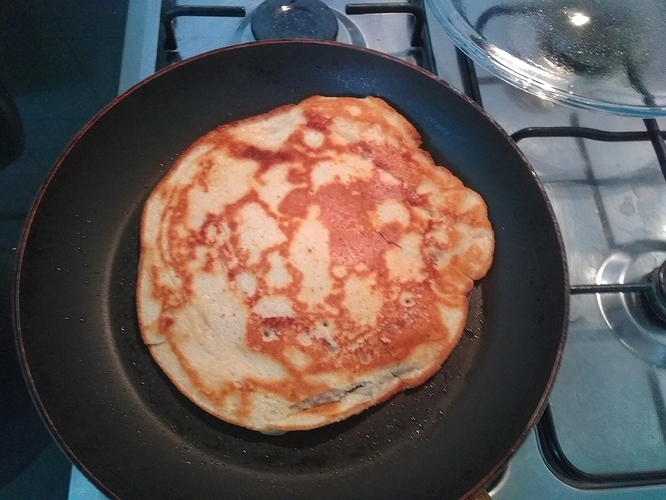 The pancakes are really easy to make. 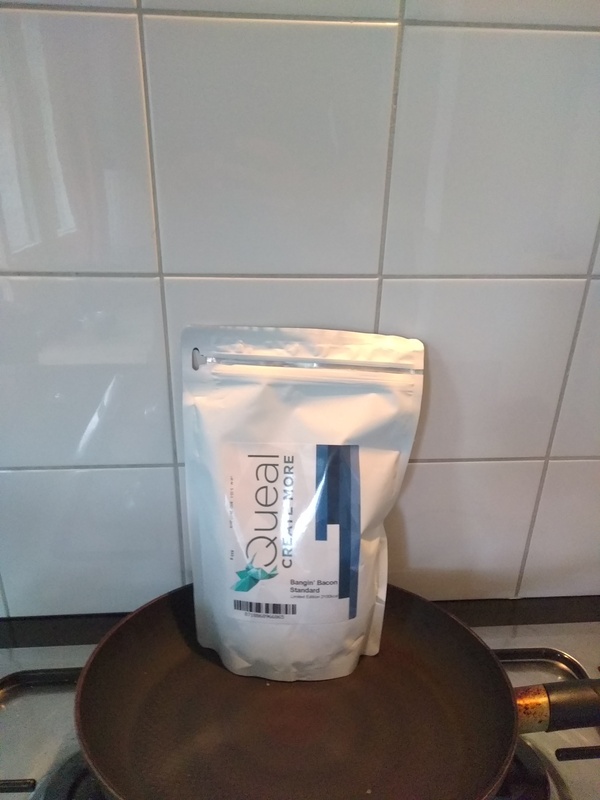 Just use 178grams of Queal, some water (about 200ml, less than normal) and mix it up. With that, I made two fairly thick pancakes and adorned them with some syrup. See below for the results. The taste is good, but if you're not vegetarian you might also want to add some extra bacon yourself for an even better experience. A note about vitamins: As mentioned earlier in our Tinkering Thursday blogs, some vitamins get lost when baking the pancakes. Therefore I advise you to make them a bit thick. 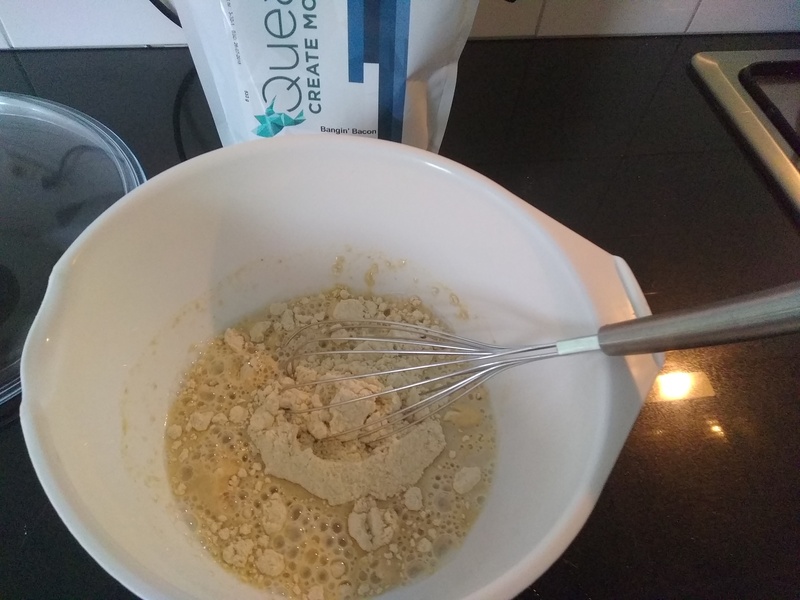 The vitamins that are most susceptible to loss are A & C.
What are your experiences with baking Queal?